Say Hello to Arlee Bird's A to Z Ambassadors! I've got another great team of Ambassadors for the 2014 Challenge. They may be visiting you during the Challenge and before. Of course you can get the jump on them by visiting their blogs right now. Three of them are returning from my 2013 team and the other four are helping me out for the first time. Visit them and get to know them. They've got interesting blogs and they are good folks to know. And as an A to Z Challenge history side note, Ambassador Yvonne Lewis was the first one to ever sign up when I did the first Challenge back in 2010. A special acknowledge to this wonderful lady whom I'm sure you'll be hearing from if you haven't done so already. 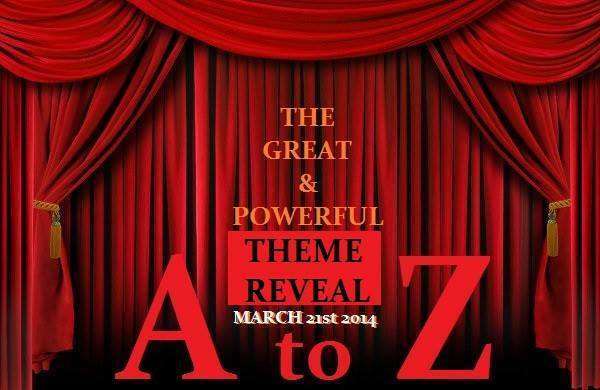 Last year Mina Lobo hosted the first ever A to Z Theme Reveal bloghop. This year she's turned the duties over to #TeamDamyanti. To read more about this event go to the host blogs of the A to Z Theme Reveal. It's hosted by Vidya Sury, Anna Tan, Csenge Zalka, Guilie Castillo Oriard and Samantha Geary (with technical support from Jemima Pett & Mary Wallace). Visit all of these bloggers and say hello to them as well. Even if you aren't a co-host or on a co-host team you can still be a big help to making the A to Z Challenge a bigger success. Do a post about it and be sure to add #atozchallenge in your title so you'll get more exposure. Whenever you see an A to Z Challenge post be sure to share the links on social media so we can keep spreading the word. In doing this you'll help the Challenge as well as giving more exposure to the person who blogged about it and yourself. If you manage to get any media exposure such as a story in your local paper or something on the internet, please let us know so we can share it with everyone else. We can continue to make this event more notable through your individual efforts. Market yourself through marketing the A to Z Challenge! Have any of the A to Z Team helpers visited your blog yet? Would you like to give any special acknowledgements to any of them? 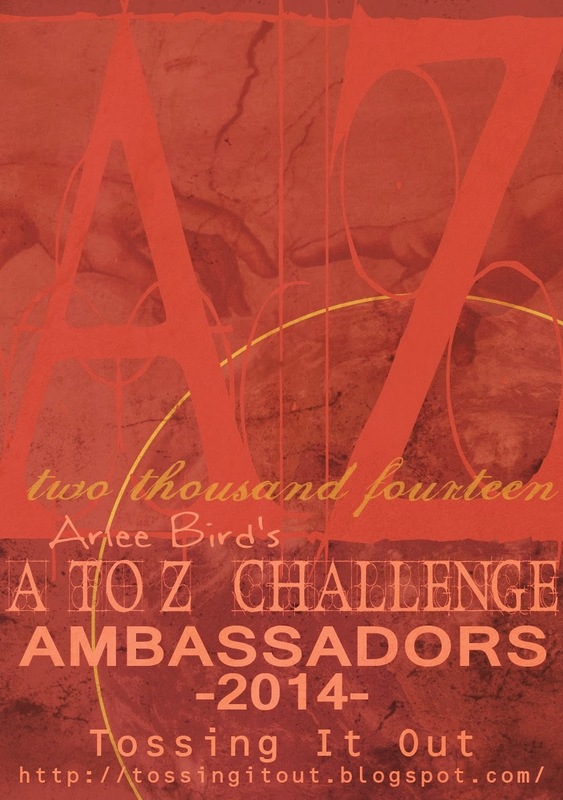 Do you think you could get some media exposure for this year's 5th Annual A to Z Challenge? #Blogging for #atozchallenge : To Theme or Not To Theme? Will start visiting blogs later. Looks like a good team this year. You've got a great team! Awesome Yvonne has been there from the very beginning. I wonder how many of us have been? Need to check the list and see if Ella signed up this year. Making my reveal the following Monday. Because I'm a rebel. I'm happy to be on Tina's Terrific Team again this year!! I'm so glad you are getting more help with this wonderful endeavor! Things for the challenge definitely seem to be gaining momentum! Alex -- Need to round up all the originals and keep them in the Challenge. JoJo -- We're glad you're back! Karen -- We miss your expertise, but we still get plenty of folks interested in pitching in. Steven -- Full steam ahead! Susanne -- Each year we learn new things to make the Challenge work more smoothly. Then there's also the dynamite Team and cadre of helpers that make life so much easier. Cool badge you got there! By happy coincidence, I did my theme reveal today too. I've had visits from people from the Challenge already. Thanks for getting this all together. You rock! Well what can I say . . . . A major crisis at work with folk running about screaming THE PLUTONIUM IS ESCAPING . . . . (AH I was not meant to mention that). Major flooding in Britain as a whole, with the roads around here having a seriously bad day, and as I type 100mph winds throwing bits of tree at the house and odd breaks in the power. Hopefully I will get to end of this before it zaps out again. . . But here I am, I have made it and am looking forward to being one of the team (the grumpy one) and doing the A to Z. I really must get my badges up soon. As for theme ( I am a firm believer in themes) I plan to write a nonsense poem about Aardvarks, just the one for the entire alphabet . . . . AH DAMN I was not meant to tell you yet was I . . . . I know it sounds odd but I have a plan. . . . I better go things outside are seriously NOT good . . . .
Oh wow I can't believe it is that time of the year again, I am still undecided if I do it this year...but wow great for doing all this work again!!! Samantha from this year's #TeamDamyanti has visited my blog on many occasions prior to 2014. Also, I recently noticed that one of Stormy the Weather Gnome's Sidekicks, Susanne, stopped by this week. As for media attention...who knows what will happen during the 5th Annual (can you believe it's been going for five years?!!!) Blogging from A-to-Z Challenge. Elsie -- Jeremy is the master of cool badge creation. Rob -- Stay inside like me and you should be fine. I try to not even look out the windows. Poke -- We hope you will decide to do the Challenge. Nicole -- 5 years should be newsworthy in some way. I mean considering some of the non-stories I read in the paper sometimes. I too am on Tina's Terrific Team this Year, last year I was on L. Diane Wolfe's crew. We have been having some fun chats as a team and have been visiting the "less than 100" group. Not sure about a theme. Never had one before but am maybe developing one anyway this year. I don't think I have enough followers to draw attention to it, but I'll most likely do a post of some sort. This year I'm going to try and finish, and use a theme that isn't so limiting. And while it doesn't match exactly, the button fits my blog rather nicely. Jo -- Two great teams! Thanks for your contribution to A to Z. Rob -- Jeremy was probably looking at your blog when he came up with the color scheme. Elizabeth -- When you post about the Challenge be sure to add #atozchallenge to your title and it should show up in Twitter feeds for the Twitter News. Suze -- Time always seems to play tricks on us. Especially as we get older. Thrilled to be part of this again this year! This is a great team and I am really looking forward to doing this. Yes, some A to Zers have already stopped by! For media, I am not sure, one thing I am working on is increasing my own media/social media footprint, so this will be a good chance for me to try this out. Appreciate the shout out for our THEME reveal, Lee! I'll do my best to drive some media attention our way this season:) I've got a plan and several pounds of coffee! We're hoping to drive in more AZ traffic via the reveal-- and the list has crossed 50-- thanks for the shoutout here. I hope everyone who is writing posts on A to Z challenge is tweeting about it as well at #atozchallenge . A to Z is always tons of fun, and I feel so lucky to be part of #TeamDamyanti this year! It's not even March yet, and we are already visiting blogs, making friends, and having adventures. And the theme reveal is going to be epic! Once I settle on a theme. MJ -- Your presence is making the Challenge especially exciting this year. Tim -- The part you're playing in A to Z gives an added dimension to your own story. Samantha-- Whatever you do please let me know about it. Damyanti -- The second year of theme reveal should do even better than the first. Csenge -- Love the enthusiasm so far this year. Congratulations, team Arlee! I know you guys will do an awesome job ... and I'm so excited to get to be a part of this exciting endeavor. IS IT APRIL YET?? Congrats to your creative team! I remember meeting Yvonne during my first A to Z in 2011, and she's been true blue ever since! Looking forward to meeting some of your new ambassadors. It looks like you're going to have another record breaking year! I'm wishing everyone brave enough to accept the A-Z challenge the best of luck. Wow! Thanks for the mention, Lee! What a great team this year, as well! I love the A to Z Challenge. I thought I was foolish to sign up last year when I was traveling most of April and only got around to scheduling 3-4 posts. But the adrenalin was high, and I did the best thing to do - tell my best friend who sat on my head...to motivate me. :D I'd be composing posts in my head all the time and everything we saw, would be a likely candidate for the AtoZ. I aced it and thoroughly enjoyed it! This year, I am participating with two blogs (some people think I am mad) but I know I am going to have fun. I am also honored to be part of the AtoZ team this year and am freaking out on social media posting about the #atozchallenge throughout the day. Yay for the ambassadors! I'm on MJ's team this year. Should be fun! Thanks to all for your additional comments. I love how so many of you have added your own touch to making this April Challenge such a fantastic event.